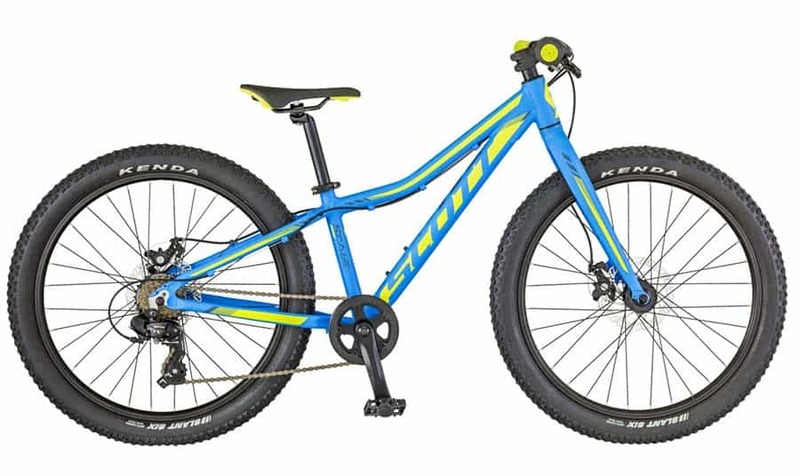 This Scott Scale JR 24 Plus bike has wider tyres than standard, this is all the trend on adult mountain bikes these days so the Scale JR 24 Plus follows in the footsteps of the more advanced adult bikes. It is a functional well designed machine with a single front gear, again just like the trend of the better adult machines. They shall feel they are riding a small version of an adults bike rather than a kids bike ! Normally ideal for ages 7-10 years old.